Investigative Baseball Journalism: Did I Just Solve a Mystery? Well, it’s a long story. But if you have seen the movie, you’ll know what I am talking about. Yesterday it was reported by Larry Granillo of Wezen-ball.com that Bueller and Frye (and Sloane Peterson, too) attended a Cubs vs. Atlanta Braves game at Wrigley Field on June 5, 1985. He gathered that by using Baseball-reference.com and the commentary that is heard in the movie during the baseball scenes. As it turns out, the Cubs lost 4-2 to the Braves that day. One word: impressive. With a little baseball investigation, he found out the exact day Ferris Bueller took off. And as a huge fan of the Ferris Bueller movie, I thought it was fascinating. It just so happened that hours after I read Granillo’s article about the Ferris Bueller Cubs game, I sat down and watched another one of my favorite comedies: “Wedding Crashers.” Like “Ferris Bueller’s Day Off,”” Wedding Crashers” also features a scene that involves a character watching a baseball game. Towards the end of the movie, John Beckwith (Owen Wilson’s character) was depressed; sitting on his couch he watched a Baltimore Orioles game, as the movie takes place in Washington, D.C. (which to my understanding) is located some 40 miles away from Baltimore. I decided I wanted to make it my mission to find out what Orioles game Owen Wilson was watching. Much like how Granillo found out what game Ferris Bueller went to, I want to find out what game one of the wedding crashers was watching. · “Wedding Crashers” came out on July 15, 2005, which probably means shooting began in 2004, thus the game he was watching probably took place in ’04. 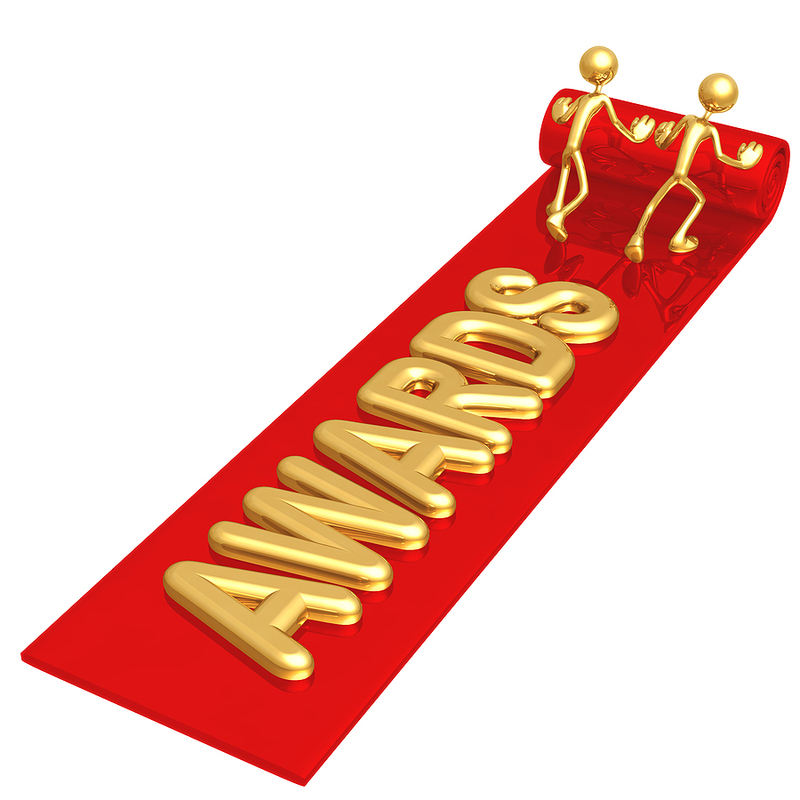 · In the film, a player is seen coming home in a home run trot. The announcer identifies the player as Jay Gibbons, who played for the Orioles from 2001 until 2007. He had some time in the show this past season, playing for the Los Angeles Dodgers in 2010. · The team the Orioles were playing had dark jerseys on. It’s extremely difficult to tell which team it was, even by zooming in as close as I can on the DVD player. The White Sox perhaps? That was my guess. No help there. · “It is gone! He is rejuvenated! And the Orioles take the lead, 3-2.” This helps. · “Well, Jay Gibbons connects; his first home run of the season off a left-handed pitcher.” Getting a little closer, I hope. · The footage in the movie was a night game from Camden Yards. · According to Gibbons’s baseball reference page, he hit 10 home runs in 2004–and strangely enough one of them did come against the White Sox. I think I may have done it!!! On May 5, 2004, the Orioles played the White Sox at home. Gibbons had a solo home run in that game off Mark Buehrle (a left-handed pitcher) in the fourth inning, according to the baseball almanac. Before the home run, the game was tied 2-2. Gibbons’s home run made the game 3-2. According to the recaps posted on the internet, the game was a 7:05 night game. That home run was Gibbons’s fourth of 2004. From what I discovered in my research, his other three home runs to that point came off right-handed pitchers, meaning it was his first of the season off a lefty. Could I have just cracked a code? I guess I will never know for sure if it was the exact game, but the pieces are there; the evidence is in place. Just as Bueller and his friends saw a losing effort on the Cubs’ part, Beckwith (Wilson) did in “Wedding Crashers,” if I have the correct game. The White Sox battled back on May 5, 2004 to beat the O’s 6-5. All that investigation and they lost. Instead of writing a whole bunch of different blog entries, I decided to write a little different this time–just for this time, since there are so many topics I want to cover. loss up there with losing Mickey Mantle and Joe DiMaggio in 1995 and 1999, respectively. Sheppard was the voice of Yankee Stadium for over 50 years and life will just not be the same without him; it hasn’t been, ever since he stopped announcing games at Yankee Stadium in 2007. He officially retired back in November. Mr. Sheppard, you will ALWAYS be remembered as a classy, dignified, and honorable man. They say true legends will live forever, and you will certainly live forever in the minds of the Yankee fans. “I have one style of speaking. It’s the same, whether it be at Yankee Stadium, at home, in the classroom, or when I lector at Mass.“–Bob Sheppard. I have been especially busy this week at my job with the Hudson Valley Renegades. After a walk-off win on Friday night, we were beaten on Saturday night at the hands of the Auburn Doubledays. Although we lost, there was a little ceremony before the game that really made me think. At Dutchess Stadium, there is a Scout’s Hall of Fame; a place dedicated to honor important people who helped recruit players. Last night the Renegades honored Bob Miske, a scout who worked for the Yankees and the Los Angeles Dodgers, among other organizations. He told a cool story about Tommy Lasorda for his induction speech, and how he became friends with him. Yet before he spoke, an excellent point was brought up: why is there no Scout’s Wing to the National Baseball Hall of Fame? Of course all the legendary players and great writers are enshrined in Cooperstown, but where is the recognition for the people who pick out the young players who go on to become larger-than-life superstars? It’s a great point. When you think about it, someone picked Derek Jeter and Alex Rodriguez out of a ton of other players. From there, they went on to become who they are today. Shouldn’t the person who discovered them get some credit? The baseball scouts also dedicate their lives to the business. They travel around the country going to high school and college baseball games with nothing but a book, a pen, and a radar gun, looking for the next top player. Since they dedicate such a big part of their lives to the game, they should certainly be recognized for it. Congratulations to Miske on being honored by the Renegades. We appreciate your effort. Also on a side note, Renegades’ manager Jared Sandberg (who I recently found out is Hall of Famer Ryne Sandberg’s nephew) was standing right next to me during the ceremony…I snapped a picture of him via my camera phone very discreetly before it ended. How nice has CC Sabathia been? His victory over the Seattle Mariners today marked his eighth win in as many opportunities. 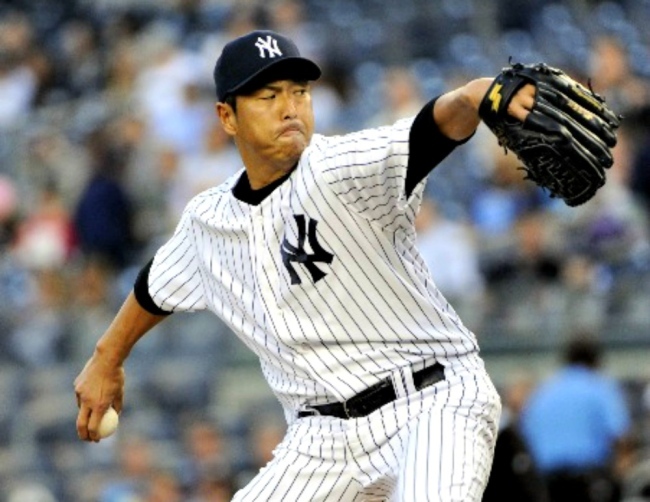 The Yankee ace has a total of 12 wins this season and only three losses. He is traditionally known as a “second half player,” meaning he usually puts up his best work in the second half of the season after the All-Star break. It’s pretty scary to think how many wins he could potentially reach if he keeps winning the way he is. I’m not necessarily saying he’ll win another 12 games over the second half of the year and reach a mind-numbing 24 wins, but 20-21 wins is certainly looking possible at press time. As far as the Cy Young Award goes, it could be him. David Price certainly has a little bit of an edge halfway through the season, but as I said if Sabathia keeps going the way he is, he’s a definite candidate. It’s great to have an ace/horse like him on our side. If his good friend Cliff Lee had become a Yankee (as it looked like he was going to be on Friday) it would have been VERY scary; to have two number one pitchers like Lee and Sabathia on the same team is frightening. To have them on the same team that already has the best record in baseball, is just plain terrifying. But of course the Lee deal fell through and he went to the Texas Rangers. But wait until next year. 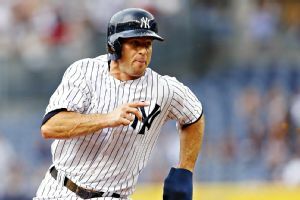 The Rangers are never going to be able to pay him after this year and it’s quite possible Lee will be in pinstripes in 2011. As for Sabathia, it’s just business as usual. He is slated to pitch again on Friday vs. Tampa Bay at home. If he wins that game, it’s pretty much a given that he’ll at least reach 20 wins this season. In the fifth inning of today’s game Marcus Thames crushed his third homer of the year, a long shot high off the foul pole in Seattle. It was kind of a bittersweet home run for me. Sweeney also pitched on Thursday night; he got Jorge Posada to bounce into a double play and got through the eighth inning without giving up an earned run. I’ll admit I was rooting for him. I wanted him to get the Yankees out. 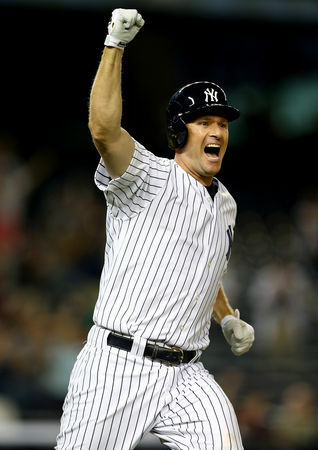 After he surrendered the homer to Thames today, he got Jeter, Mark Teixeira, Nick Swisher, and Rodriguez out. He gave up two runs in the fifth but went 1-2-3 in the sixth. I was proud. To me, Sweeney serves as an inspiration. He has made me realize that graduates of my college CAN really go on to do great things. I sometimes have very little faith in myself, especially now considering I’m a recent college graduate struggling to find a real job (I like working for the Renegades, but it’s an internship; it’s going to be over by the end of the summer). But I look at Sweeney, pitching for a Major League Baseball team. He came from the same place I did and has reached a great place in life. It gives me hope and encouragement and makes me believe that I can do something great with myself, if I work hard enough. When I heard John Flaherty mention Mercy College on the YES Network this afternoon and on Thursday night, it made me smile; it made me very proud. It also made me wonder if Flaherty would mention when he visited Mercy last year; I interviewed him and wrote a feature article about him when he came, as I was the sports editor of the school paper. It was, by far, my favorite story that I wrote in college. I’m actually still trying to get in touch with Flaherty; I’d like to send him the story I wrote on him. Unfortunately, I can’t find a way to get in touch with him at the moment. I’ll keep trying though and eventually I’ll get a hold of him. I’d like for him to see all the nice things I wrote about him. As for Sweeney: I am proud of him, and I’m sure the rest of the Mercy College community is, too. I’ll be talking to him soon and when I get my interview with him, it’ll be posted here right away! Lastly, I’d like to thank my good friend Micheal Robinson for coming up with a new picture for the Yankee Yapping Facebook page. He is a wonderfully skilled person when it comes to graphic design and he is a genius with photo-shop. It looks great, buddy. I love it and thank you once again! Think back to the movie “Rocky V” for a second. I know it’s hard to, since it’s the worst sequel in the “Rocky” movie series. Boxing promoter George Washington Duke wants Rocky to fight his protégé Tommy “The Machine” Gunn. In the end Rocky takes him on in a street fight and mercilessly beats him. “Rocky V” came out in 1990. Now fast forward to Saturday–it was almost the same principle. 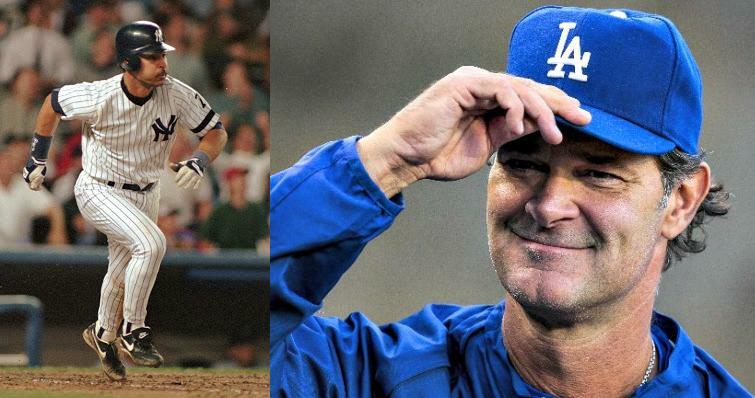 The Los Angeles Dodgers, headed by former New York Yankee manager Joe Torre, decisively beat Joe Girardi’s Yanks 9-4. 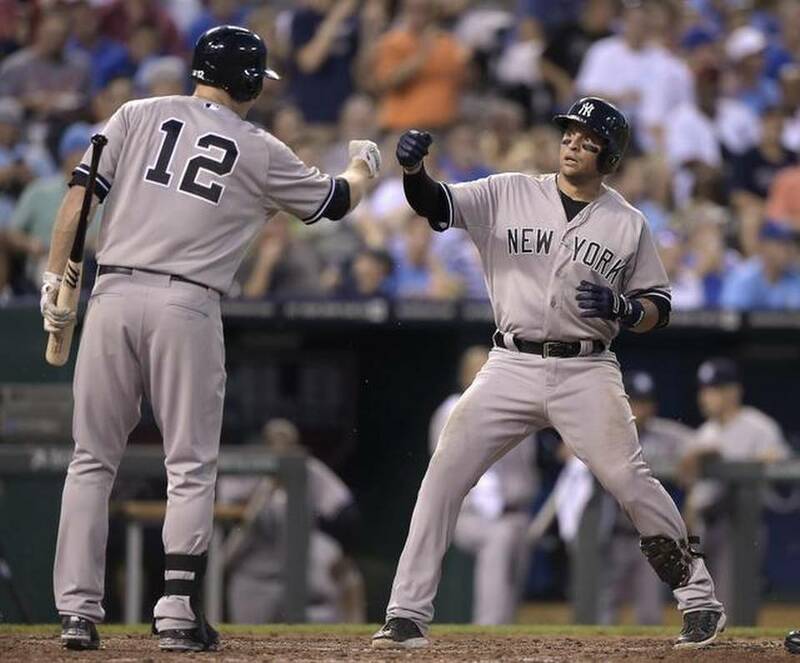 The Bronx Bombers had won on Friday by a count of 2-1, setting up the rubber game yesterday night. 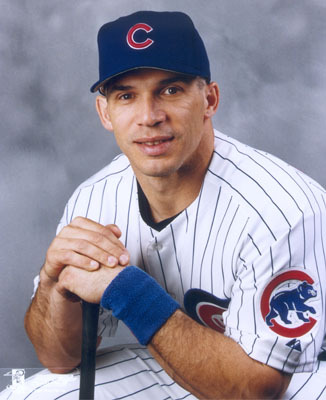 Girardi served as a player and a coach under Torre, so in the words of Duke, it would be “Old lion vs. young lion; teacher vs. pupil” for the series win. And what a rubber game it was. The Dodgers seemingly had an easy series victory heading into the ninth inning, leading 6-2 with one out and the flame-throwing Jonathan Broxton on the mound. 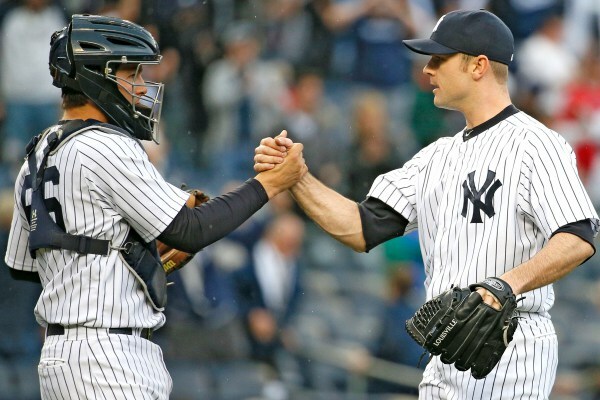 Who would have guessed the Yankees would play the role of comeback kids? The Bombers scored four runs in the ninth frame to knot the game at six. 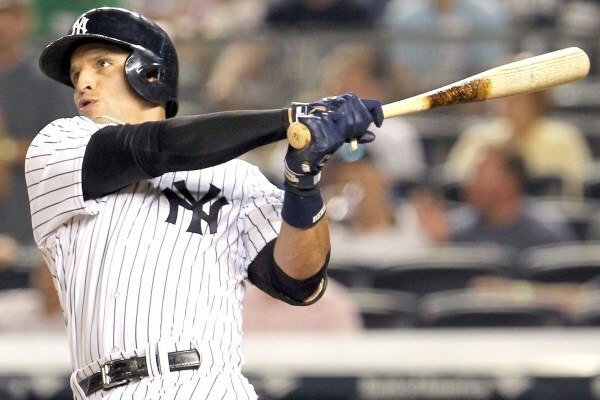 A double by Robinson Cano to score Alex Rodriguez, a single by Chad Huffman to score Cano and Jorge Posada, and a fielder’s choice by Colin Curtis to score Curtis Granderson. Cano later played the role of hero, belting a long two-run homer to left-center field in the top of the tenth, his 15th round-tripper of the season, to put the Yankees up 8-6. From there they never looked back, taking the series from the Dodgers 2-1 and leaving So-Cal with a record of 47-28, still in first place in the AL East. The pupil prevailed over the teacher this weekend, and it really came down to the pitching. Broxton had thrown 19 pitches on Saturday and tossed an overwhelming amount of pitches during last night’s game. In fact, the Dodgers’ closer threw 48 pitches over the one inning he worked. Don’t you think that’s enough? Closers are not supposed to be throwing 67 pitches over two days. They are not really built for that kind of work. Granted, the Yankees were extremely patient with Broxton; Posada and Curtis both worked 10-pitch at-bats, while Granderson worked an eight-pitch at-bat. Among all three of those hitters, Broxton tossed 28 pitches. But Torre refused to take him out. It even took him awhile to get another pitcher up and warming in the bullpen before Broxton went on to blow the lead. When he could have taken Broxton out for another pitcher, he left him in the game, only to lose it. And this, my friends, is (why I think) the Yankees had to let Torre go. Do not misunderstand me; I have nothing but respect for him. Every year he was Yankee manager he led his team to the playoffs. Four times out of those 12 (which would translate to 1/3 of his years as Yankee manager) he took them all the way to the World Series Title. Six out of those 12 seasons (or 1/2 of his years as Yankee manager) the Yankees were in the World Series. From where the Yankees were (which in a lot of ways they were in a state of mediocrity from the early 1980s into the late ’90s) Torre brought them back. He turned the team around and the Yankees, under Torre, once again became THE YANKEES. Torre’s resume and what he did at the helm of the Yankees speaks for itself. Four World Titles, six pennants…that’s just amazing. 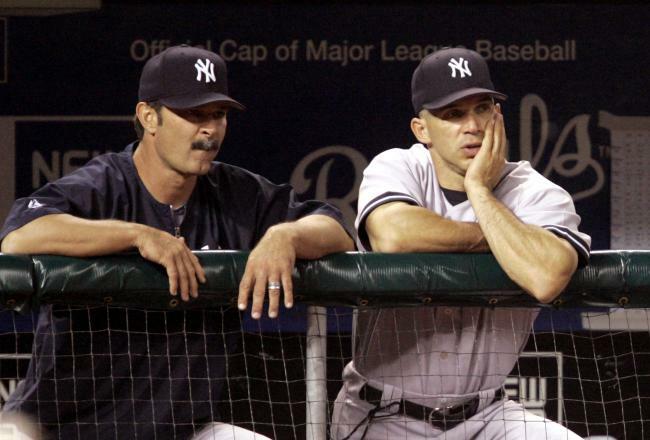 Most managers can only dream about what Torre did when he was the head man for the Bronx Bombers. 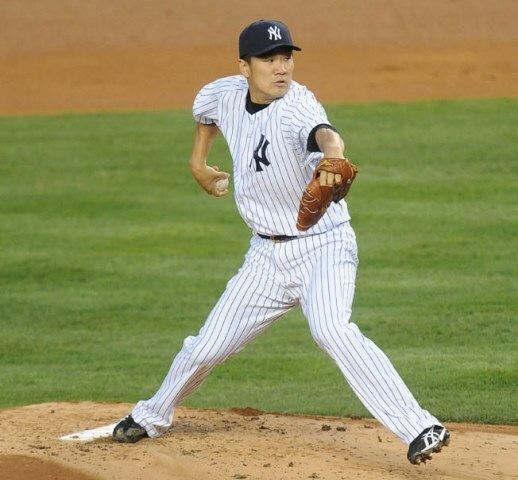 However some of his decisions regarding the bullpen were often criticized, especially towards the end of his run in 2006 and 2007. As far as that criticism goes, it was well-deserved. He over-used many of his bullpen pitchers and slowly they faded away; they lost their luster and were never the same pitchers again. Consider former Yankee relief pitcher Scott Proctor. From 2004-05 with the Yankees (and under Torre) he only made 56 appearances out of the bullpen–which is respectable over a two-year span. But in 2006, Torre used him out of the ‘pen 83 times and he tossed a mind-numbing 102 1/3 innings. For a reliever, that’s just absurd; it’s not even fair! And it was the same story in 2007. 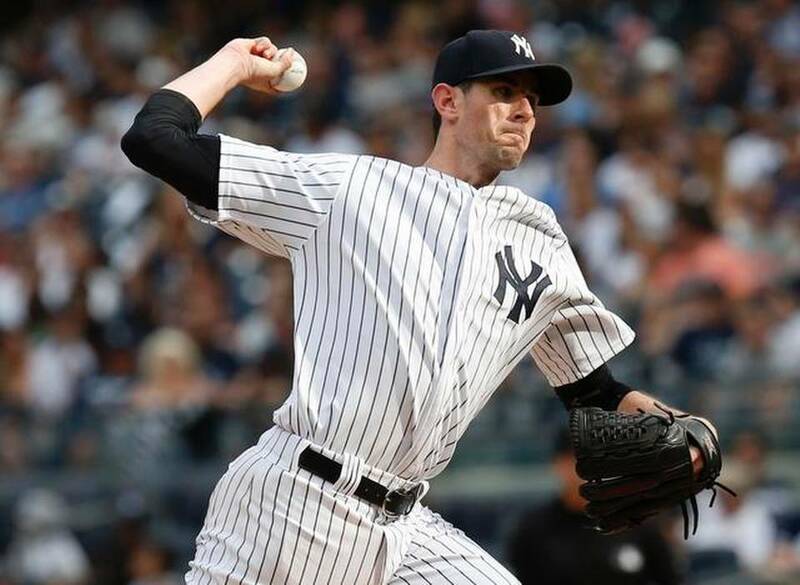 Before the Yankees traded him to the Dodgers for Wilson Betemit in the middle of the ’07 season, Proctor was used 52 times with 54 1/3 innings already under his belt. He once again finished the season with 83 appearances and 86 1/3 innings pitched. Again, it just wasn’t right for Torre to use him that many times. I have no doubt in my mind that Proctor was the pitcher who said this. 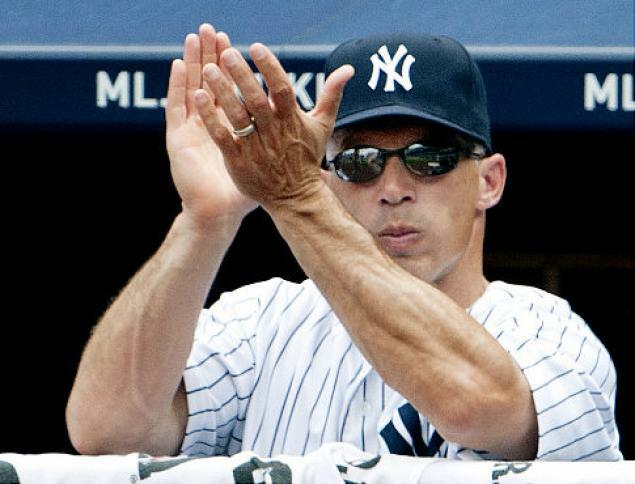 On the night of Oct. 8, 2007, Yankee Stadium burst into a loud chant of “Joe Torr-e (clap, clap, clap-clap-clap! )” It was his final game as Yankee manager and this was the fans’ way of saying goodbye, as they knew this would probably be his last round as Yankee skipper. I was watching the game at home and something was happening to me; I felt strange and sad. I also knew Torre’s days as head of the Yankees were numbered and as soon as the Yankees exited the first round of the playoffs he would probably be gone. 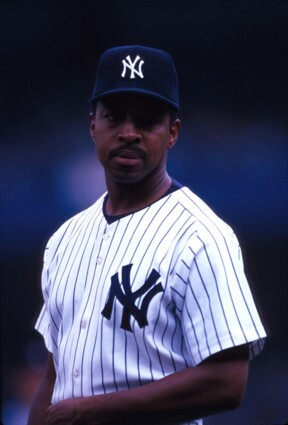 It was sad to me, because he was really the only Yankee manager I knew; when Buck Showalter was the manger before Torre, I was young and not nearly as big of a Yankee fan as I am now. That text message almost made me cry–because at the time I believed it was true. 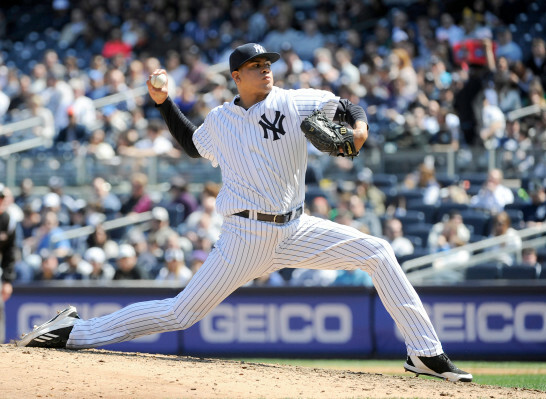 The Yankees offered Torre a small salary at the conclusion of ’07–$6 million for a year, plus an additional $million for every round of the playoffs he could make it through. If he could reach and win the World Series, he could potentially make $9 million. The offer, to me, was insulting and disrespectful. In his first year as Yankee manager, Torre brought them a title. 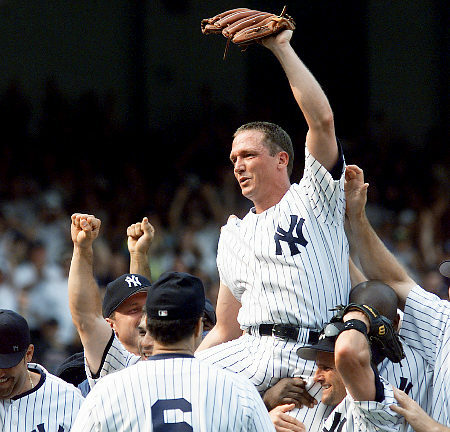 It had been 18 years since the Yankees had won a Championship. The New York newspapers even went out of their way to call him “Clueless Joe” when he was named skipper, thinking he had no idea what he was doing. He certainly proved that he did know what he was doing when it came to management–at least up until the end of his tenure. Apparently the Yankee organization looked past all that when they came up with the poor excuse for a deal. 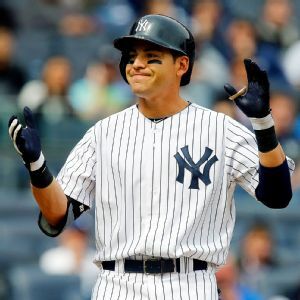 I still cannot believe they offered him that deal, but I also think the Yankees knew what they were doing; I think they wanted to make him that deal because they knew he wouldn’t accept it. Basically, they were trying to move him out and they succeeded. It seems now that the Yankees (in a way) have turned on Torre. 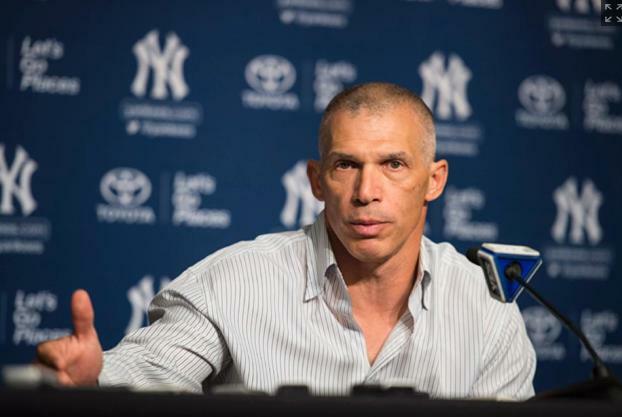 There has been speculation about a “rift” between Torre and Brian Cashman, the Yankees’ General Manager. After all, Cashman is responsible for coming up with the deals and is really the main person in charge of negotiations, so the idea for Torre’s insulting deal could have been his brainchild. I don’t think Torre’s book “The Yankee Years” helped at all, either. In the book, Torre mentioned something about Rodriguez and how he and others called him “A-Fraud.” I never really heard Torre deny the claim or refute it in any way, so maybe he did say some unfavorable things about his superstar player. It’s nothing Bill Belichick hasn’t done a million times in his life. 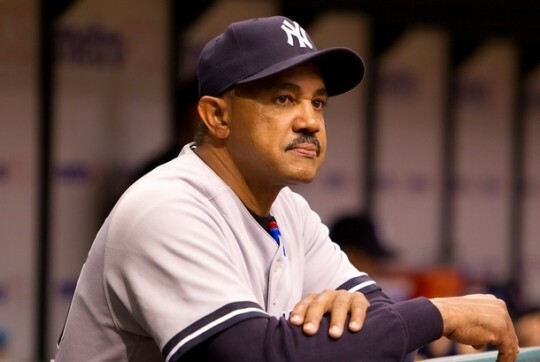 If the media hadn’t pointed it out, would Rodriguez have said anything to Torre at all? I’m not sure. I don’t really think it matters now, anyway. They acknowledged one another and now the press can stop talking about it. All I can say now is that I have the utmost respect for Torre. I don’t think he makes the right decisions in terms of his bullpen, and last night was just another example of that. To leave Broxton in for that long was simply a bad move; it backfired on him, as it has several times when he was Yankee manager. 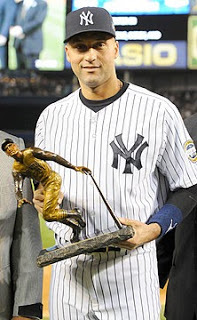 Yet I haven’t forgotten him; in my mind, he will always be a Yankee legend. No matter how bad his rift is with the organization, no matter what he said in his book, and no matter how far away he is, he will always be my favorite Yankee skipper. But…I am sure glad we beat him this weekend. I love Torre, but I LOVE the Yankees.